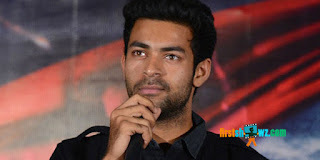 Young Mega hero Varun Tej’s second film with critically-acclaimed director Krish titled Rayabhari was supposed to roll its cameras from March. However, the latest reports reveal that the shoot has been postponed for some time. The production team of Rayabhari has recently scouted several exotic locales in Georgia and a few other European countries for filming the movie. The spy-thriller is planned to be shot in foreign countries majorly, but the delay in acquiring the permission and several technical reasons, resulted in the film’s postponement. Rayabhari was supposed to cast Pragya Jaiswal as heroine. Varun Tej meanwhile will go ahead with his other films, one of which is by the production house of Tagore Madhu. More details are awaited.